I just returned from 12 days in Alaska, touring in an RV with Carol and William. I did miss working in the shop, and have some serious catching up to do. I recently purchased plans to build a CNC machine platform. 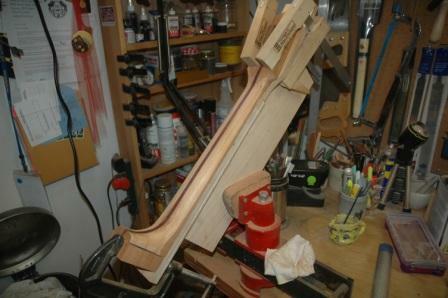 I’m not sure what I’ll use the CNC for, but I’ve got some ideas about neck shaping that might come to fruition. Next Thursday I will be traveling to Lava Hot Springs for a cousin reunion. 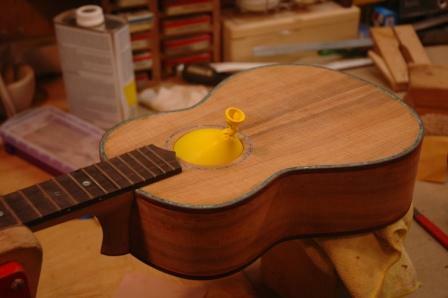 There was a germ of an idea that I would have my sister’s uke ready for delivery, but it looks iffy. I’ll still schlep a bunch of finished ukes and we can have a uke-fest anyway. The summer will be busy with diversions from building, and I’ll have to squeeze in shop time between excursions. Lava Hot Springs next week, then Ste. Agathe, followed by Guitar Camp (www.psgw.com). I’ll have some time in August after camp before I attend training for my new job (High School Math Teacher! ), then volunteering for the Boeing Classic golf tourney as a walking scorer. School starts September 7th.